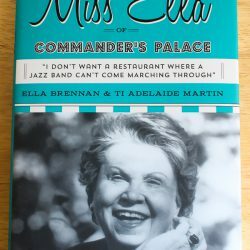 Here is my next cookbook store report that I am happy to say is right here in Chicago. 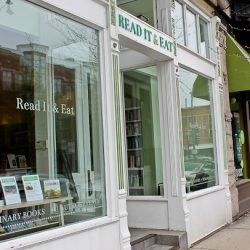 It’s called “Read It & Eat,” a gem in our culinary landscape! 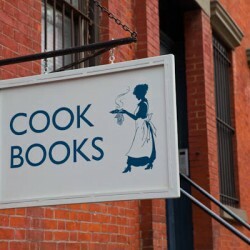 Julia Child and James Beard visited Kitchen Arts & Letters. 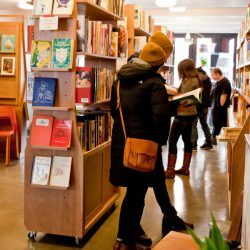 Doesn’t that fact alone move you to come here? 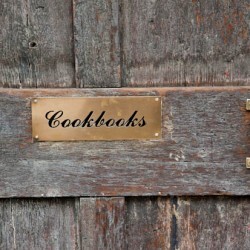 Behind this door on a charming cobblestone street in New York City is Joanne Hendricks Cookbooks. Are you ready to be transported back in time? 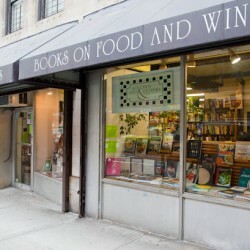 The legendary Bonnie Slotnick Cookbooks is charming, cozy, and a place to happily lose yourself for the day. 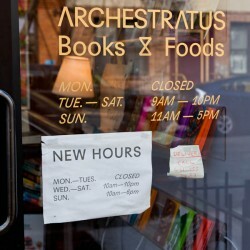 Archestratus Books & Foods was my first stop of visiting cookbook-only stores in New York. 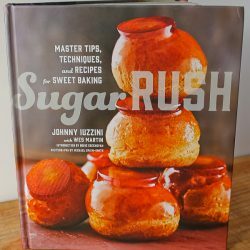 Not only did I find cookbooks, I found a cookbook soul mate!